‘Tumpang lalu” or kindly allow me to pass through is Umno Youth’s campaign theme, which at present seems to be the best way in the attempt to win the hearts and minds of the 39,965 voters in Kajang state seat constituency. Antoginistic approach, like the previous by-elections by both sides of the political divide had the Barisan Nasional (BN) on the defensive given the opposition’s expertise in picking and highlighting issues. 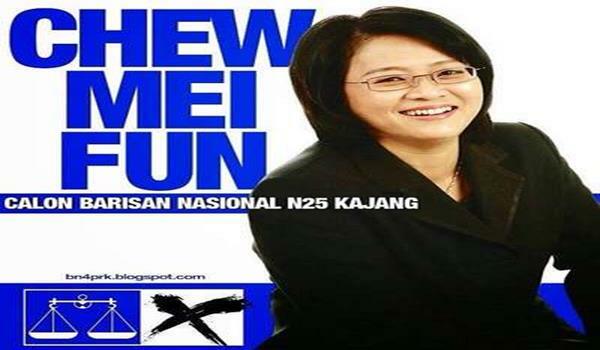 The Kajang state seat by-election is no ordinary election where ideologies are marketed to voters and presentation of track records are highlighted for their perusals are not much in use. Called the Kajang Move by opposition chief Datuk Seri Anwar Ibrahim because he chases after the Mentri Besar post to catapult him to Putrajaya, the forced by-election is no more than just to elect him to be eligible to be come Mentri Besar, nothing more. Given the background, Umno Youth seems to be on the right track in the campaign trail as going head-on will not do any good, after all, Anwar’s supporters will not change their minds and those on the fence will not go for an aggressive BN. The campaign trail which officially begin Tuesday saw an aggressive Anwar and opposition leaders meeting voters, talking about the Kajang Move but camouflaged under the ‘lack of care’ for the constituency such as traffic jams and so on – the daily hazards of life. Locking horns on such issues will only benefit the opposition as their speakers and leaders possess the oratorial skills and can present their cases better. Thus, Umno Youth’s campaign line is considered as most appropriate as ‘please, allow me to pass through’ is a nice way of saying give me a minute to fill your mind instead of confronting the oppositions in an open verbal confrontation without any ending. Thursday saw the movement head Khairy Jamaluddin doing Isya’ prayer at Taman Kota Cheras, , meet and dinner as well as santai or relax and chat with youths. Wanita Umno is also embarking on the ‘kasih sayang’ campaign – besides the house-to-house – which the movement is well known for, visiting women voters in their homes, talking in their own lingo. Thursday had Wanita chief datuk Seri Sharizat Jalil visiting patients at Taman Sekamat, then at Batu 12 and visit handicapped people at Taman Korporasi Cuepecs. While for Anwar, he has practically gone to 90 percent of the constituency and since he was barred from contesting, he now introduces Wan Azizah to the voters, re-visiting the places he had covered thus far. Wan Azizah is a soft woman and a soft-speaking type who, unlike her husband, her voice will be drowned if put on stage in a rally.